If you are having issues with the new website you can contact us here. 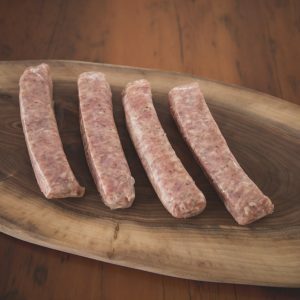 Packaged in a classic butcher’s bag, our ground pork is a great substitute or addition to ground beef. Usually 2 Chops per/package, we only take Chops from the Loin of the pig. Usually 2 chops / pkg, these Chops are taken from the loin of the pig and are smoked.